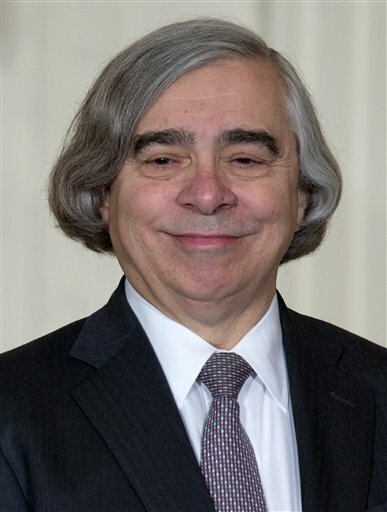 President Obama and the U.S. Department of Energy are committed to a role for coal in a national energy strategy, and they’ve backed it up with research spending, Energy Secretary Ernest Moniz said Monday. In a visit to the National Energy Technology Laboratory in Morgantown — the only one of the federal government’s 17 national labs dedicated to fossil fuels — Moniz said the administration has spent $6 billion on clean-coal technology with an emphasis on the capture, storage and reuse of carbon emissions. “We have an ‘all of the above’ strategy, and it’s real,” he said. But the administration also believes the U.S. must prepare for a low-carbon economy, so scientists must help find ways to use coal and gas more cleanly. 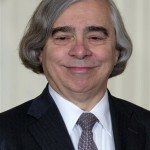 Moniz spoke to hundreds of federal employees who work at the West Virginia lab, and to those who watched remotely from research sites and small offices in Pennsylvania, Oregon, Alaska and Texas. In all, the national lab employs 1,426 people, about 850 of whom are contractors. There was additional coverage from West Virginia MetroNews, the Morgantown Dominion Post, Bloomberg BNA, the National Journal, and West Virginia Public Broadcasting. The challenges we face are serious. We are already beginning to feel the effects of climate change – floods, heat waves and droughts are becoming more severe, driving up food and energy prices. And rising temperatures and more intense storms pose a serious threat to our infrastructure throughout the country. The efforts underway here at NETL’s Morgantown campus, as well as its other research facilities, are an important part of a much larger portfolio of clean fossil fuel technologies across the Department of Energy and across the country. The U.S. Energy Information Administration projects increases in U.S. coal utilization in 2013, and other countries have been increasing their imports of coal. No discussion of U.S. energy security and reducing global CO2 emissions is complete without talking about coal – and the technologies that will allow us to use this resource more efficiently and with fewer greenhouse gas emissions. This is why, since President Obama took office, the Department of Energy has invested more than $6 billion to clean coal technologies – particularly in carbon capture, utilization, and storage – helping to ensure that fossil energy use is cleaner, safer, and more sustainable. In West Virginia, the real challenge for the coal industry is not only finding ways to operate safely and reduce — perhaps eliminate — negative impacts on coalfield communities — but also figuring out the way to make carbon capture and storage, or CCS, work. The Congressional Research Service has a good primer out about CCS … Might make good roadtrip reading for West Virginia officials who are heading out west to learn about “future funds” and especially for West Virginia Democrats who are traveling to Washington to complain about Obama administration coal policies.